A charter member of the American Society of Hand Therapists (ASHT), Ms. Cooper has won the Best Scientific Paper and the Best Poster Awards at ASHT annual meetings. She was the Chairperson of the Hand Therapy Special Interest Subsection of the Physical Disabilities Special Interest Group of AOTA. 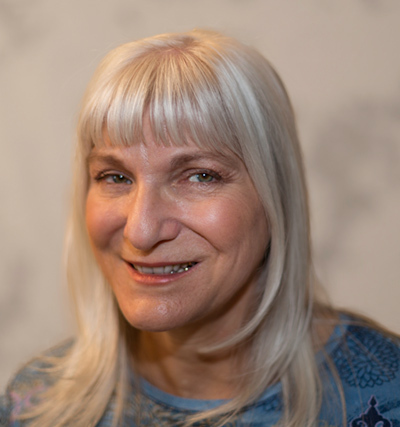 Cynthia is the recipient of the American Occupational Therapy Association (AOTA) Service Award and the Arizona Occupational Therapy Association (Arizota) Dennis Krenek Volunteer Service Award. In addition to her clinical practice and research, she was Adjunct Faculty in the Occupational Therapy Department at A.T. Still University in Mesa, AZ. from 2011 to 2016 where she taught the adult portion of Occupational Analysis III, Occupational Therapy Ethics and Professionalism, and she co-taught Occupational Therapy Management. She also mentored occupational therapy student who were particularly interested in hand therapy. She was a Clinical Instructor in the Occupational Science and Occupational Therapy Department of the University of Southern California. Upon leaving that position she was given honorary faculty status. 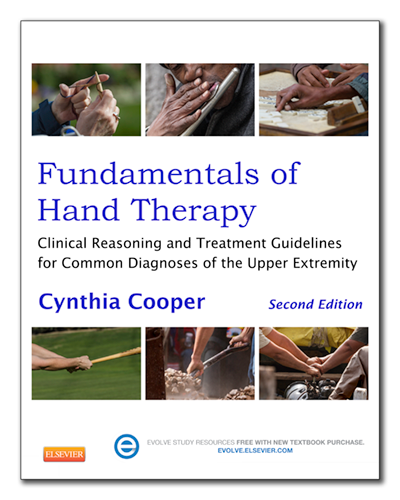 Ms. Cooper is the editor of Fundamentals of Hand Therapy: Clinical Reasoning and Treatment Guidelines for Common Diagnoses of the Upper Extremity, one of the most popular hand therapy textbooks used for academic programs, clinical training and reference, and preparation by clinicians for the CHT examination. It is a bestseller in its category, has both domestic and international distribution, and is now in its second edition.